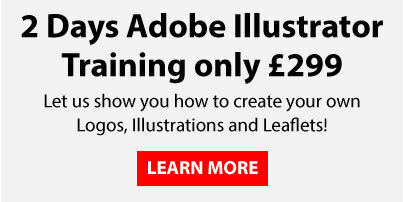 Following on from my blog post a few weeks back on using Adobe Photoshop with Adobe InDesign today I’m going to have a look at using Adobe Illustrator with Adobe Photoshop effectively. 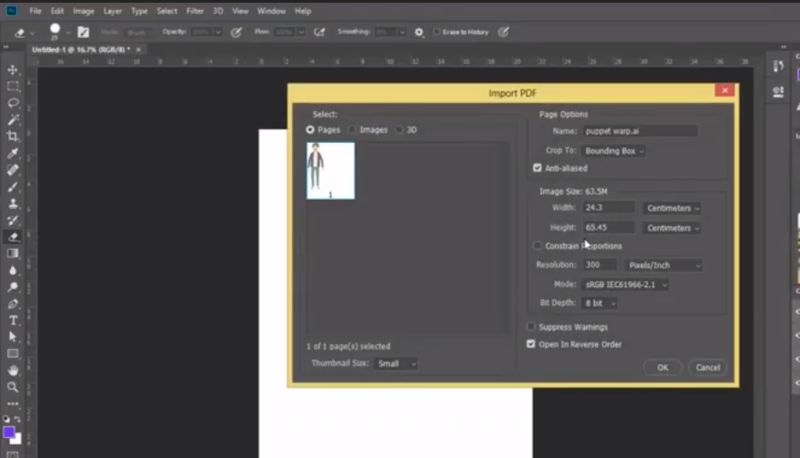 There are two ways these file types can be integrated with each other, we can convert the vector Adobe Illustrator file in to a pixel based Adobe Photoshop layer and use it just like any other Adobe Photoshop layer which is the simplest way to merge them together. The other way is to embed the Adobe Illustrator file in to the Adobe Photoshop layer and keep its Vector functionality which is a little more tricky but very useful, I’m going to run through each of these methods step by step. Firstly I am going to create a pixel based Adobe Photoshop layer from my Adobe Illustrator Artwork, this is the easy one! Go to File>open and browse to the Adobe Illustrator file that you would like to open. You will then see a dialogue box which enables you to specify the size that the file is rasterised in Adobe Photoshop. Because we are going from an Adobe Illustrator Vector in to a pixel based Adobe Photoshop layer we can specify any size we like big or small. When you click Ok you will then have an Adobe Photoshop file with the artwork on its own layer, all you need to do is press enter to confirm the size within the layer. So this time we are going to import the Adobe Illustrator file but keep it as a vector so it can be scaled to any size we want without the loss of quality. This will however restrict us from using the majority of Adobe Photoshop tools as they are built for editing pixel based images. We are first going to create a blank Adobe Photoshop file, I have just created a blank A4 print document. Then go to File>Place Embedded. 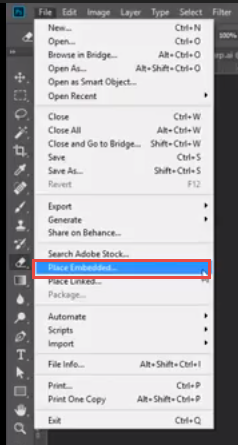 There is also a Place Linked option but I would avoid this as then you will always need the corresponding Adobe Illustrator file to accompany your Adobe Photoshop file. By Place Embedding it has all the information kept within the layer. Once the Adobe Illustrator Vector file is in the layer you will notice a small icon in the thumbnail of the layer that indicates that this is a smart layer, this means the vector information will be kept and the artwork can be scaled to any size without loosing any quality. 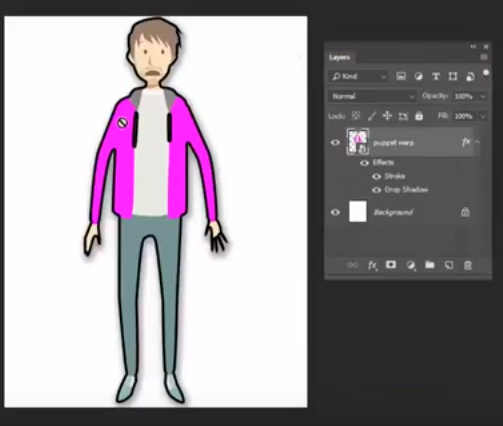 Now comes the clever part, by double clicking on the little thumbnail in my Adobe Photoshop Smart Layer it will open up Adobe Illustrator and our vector artwork becomes editable within the Adobe Illustrator Interface, you can change colours and shapes etc. Be aware this is not the original file we placed in its a copy that Adobe Photoshop has made and embedded in our Smart Layer. Once we have made our changes in Adobe Illustrator just go to File>save then when we go back to Adobe Photoshop you will see the artwork has been updated! As I mentioned earlier we are restricted on the tools we can use in Adobe Photoshop on a smart layer, if we try to use an eraser tool it will only let us if we rasterise the layer (turn it back in to pixels). We can however add things to the Photoshop Layer like Layer Styles and Layer Masks etc.